Mother Sparsh is a startup founded by Rishu Gandhi. They have introduced water-based wipes. You can find their product available at large and prominent store chains such as Big Bazaar and Le Marche. Comprising the need of the customer, two variants of baby wipes i.e 98% water wipes with mild scent & 99% water wipes without scent has been launched. Keeping in mind the gentle soft touch of cotton, the fabric is formulated from natural plant extract to make it cottony soft and soothing for kids, says Rishu. We got an opportunity to talk with Rishu, and see what she has to say. I am sure her interview with us will inspire you. 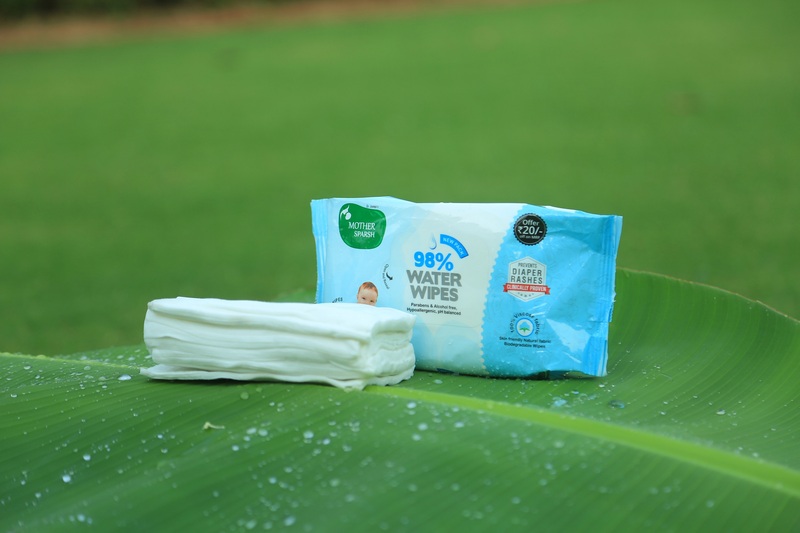 With the insight and intent of bringing the right innovation, we came up with water-based wipes which are as gentle as cotton water and its fabric is developed from plant extract to make it eco-friendly as well. Comprising the need of the customer, two variants of baby wipes i.e 98% water wipes with mild scent & 99% water wipes without scent has been launched. Keeping in mind the gentle soft touch of cotton, the fabric is formulated from natural plant extract to make it cottony soft and soothing for kids. These wipes are a safe, gentle and convenient way to cleanse your baby’s delicate skin. As a part of our commitment for a sustainable planet, Mother Sparsh Water Wipes are 100% biodegradable which endorses our anthem i.e Mother Sparsh to Mother Earth. Moving further, we shall be coming up with more products designed specifically to allure the need of modern day parents. After completing Engineering, I joined an IT firm as a JAVA developer. However, I wanted to pursue my dream of becoming an entrepreneur with the right reason. I have a keen interest in following and learning about consumer behaviour with respect to new products and innovations. This very interest made me realise the potential of organic & eco-friendly products in the childcare domain. The eco-friendly and organic products are still at a very nascent stage in India. This kind of a market attracted me as it a niche market with few players in it. 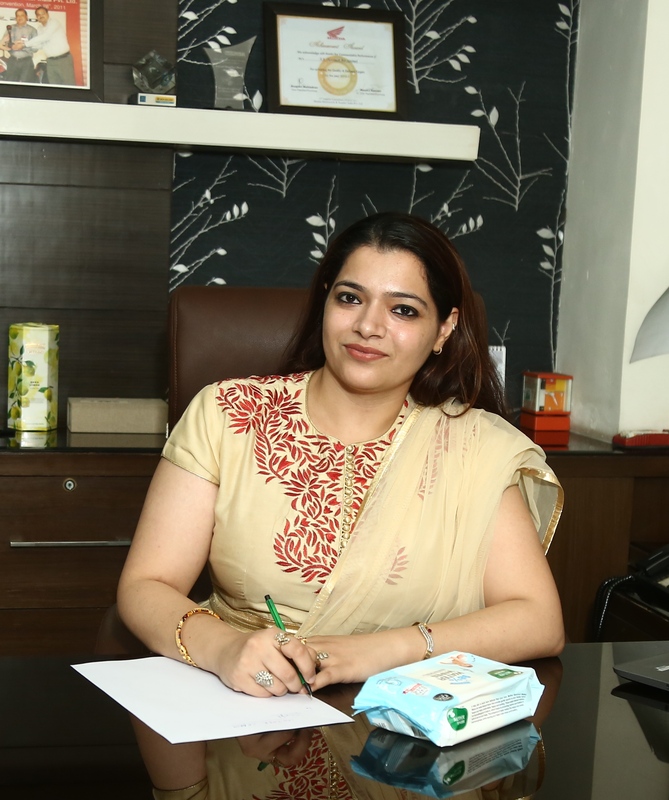 Mother Sparsh initiated its journey with a clear motive to launch baby care products that are gentle and safe for the little ones. With this thought, we launched India’s first eco-friendly water-based wipes in two variants i.e 98% water wipes with mild scent & 99% water wipes without scent has been launched. Mother Sparsh baby water wipes are not just gentle on the skin, but are environment-friendly too! Made of zero polyester and 100% biodegradable material, they give the purest and most gentle care to babies. The Startup is based out of Chandigarh. With SEZ in vicinity and industrial belt nearby, it makes perfect sense for us to open up here. Product Innovation and quality. Ours is such a sensitive segment that any dip in quality can ruin the brand. For a startup which is trying to establish a name we are very much critical on the quality. Innovation in the right direction considering the consumer need is always good for brands to gain momentum in this competitive environment. Firstly, I am really happy and motivated to see a number of budding baby care startup who are really performing well and also project their brands firmly against established foreign brand. 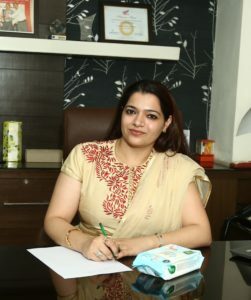 Considering, Mother Sparsh, with the thought of India’s First water wipes brand, I feel that we are really product focused and provided consumer with the product that is so close to nature. We believe that we are not in competition with anybody except our own expectations to establish Mother Sparsh as India’s Wipes Brand. I am on my toes all day long because of my packed schedule. I start my day early and spend at least an hour doing yoga asanas, deep breathing and meditation. Exercising in the fresh air reinvigorates me and keeps me in high spirits throughout the day. Post this; I wrap up my routine chores. And then get on with work by prioritizing the tasks for the day. Presently we are self-funded. However, Mother Sparsh plans to look for investment and funding as it grows and escalates to the next phase. Baby Care Industry is one of the rapidly growing industries in India. In fact, the number of baby care products in India has almost doubled in recent years. In all of these Mother Sparsh’s constant growth is overwhelming at times and excites me always. Apart from it knowing that your product is adding a unique value in the segment which is so important, also what keeps Mother Sparsh team excited to work for a better eco – friendly future.